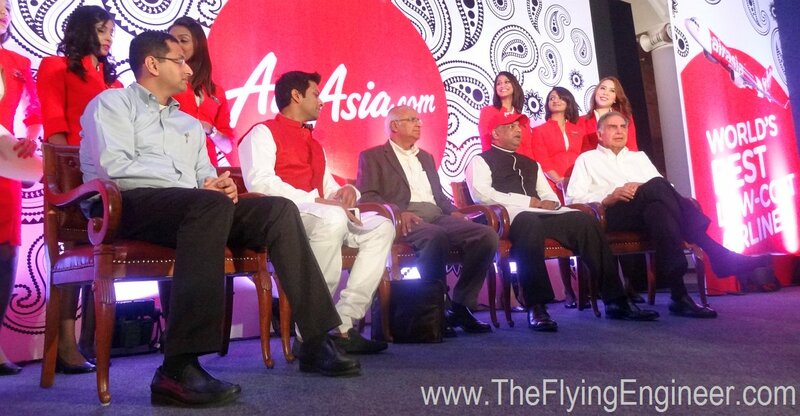 AirAsia India is the most dynamic airline in India, today. It paints a picture of a moderate degree of uncertainty, and of the actual reigns of the airline being with Tony and his team at Malaysia. Also included is Tony’s mantra for an airline’s success. Arun Bhatia was neither present nor mentioned. Tony is no longer is absolutely affirmative, rather, ‘Hopeful’. “I’ve reached a point where there’s no point in making bravado statements”. “This business is tough enough that there are many external factors that prevent you from realising your dream”. Mittu’s four month break even target slammed by AirAsia’s head of investor relations. AirAsia’s airplane expansion plans downward revised by head of investor relations. Tony confident of getting India right: “It’s not that we are coming in naive into India”. 14 month wait and positive response have made AirAsia’s vision”much bigger now”. Market large enough: “There is huge scope for all airlines”. AirAsia depends on the government to script its success: “We can’t do it ourselves”. AirAsia is all about volumes. ” AirAsia is about democracy: taking [out] all the elements, in an airfare, that is in my opinion are unfair”. Pushing for unbundling of fares, says 15kg ‘free’ baggage isn’t really free. Focuses on its people: promises to make a cabin crew a line pilot. 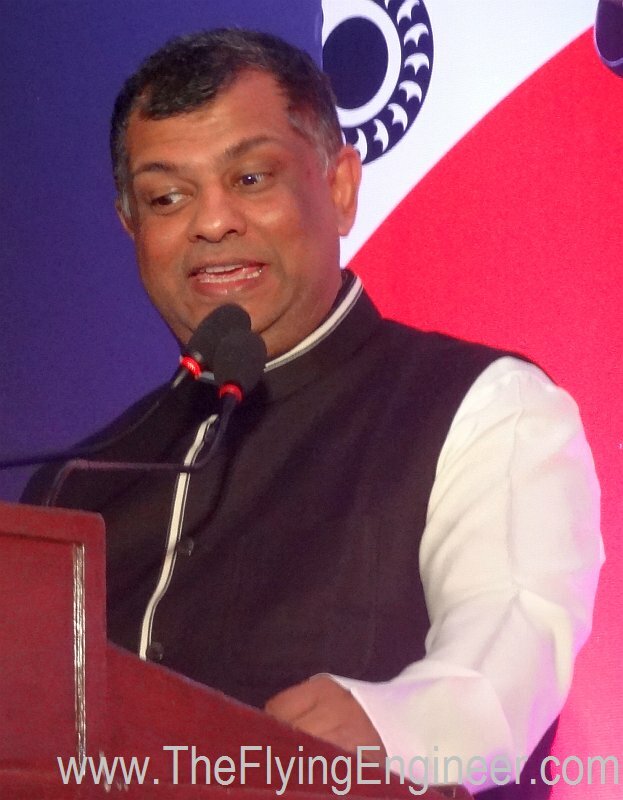 The July 3rd press conference held by AirAsia India was intended to signify the official launch of the airline, with Tony Fernandes flying for the first time on his Indian arm’s aircraft, to Goa- the place his father is from. Those present on stage were Mittu Chandilya-CEO AirAsia India, Tony-Group CEO AirAsia, Ratan Tata- the airline’s chief advisor, S Ramadorai – Chairman AirAsia India, and R Venkatraman, former executive assistant to Ratan Tata and Executive Trustee of Sir Dorabji Tata Trust. Arun Bhatia, whose Telstra Tradeplace owns 21% stake in the newest airline in India, was not present for the event. Only Tony, Mittu and Ramadorai stood up to speak. While Ramadorai’s speech was just another uninformative corporate talk, Mittu and especially Tony actually spoke about the airline. Telstra and Arun Bhatia go missing. Arun Bhatia wasn’t just missing, he was missed in the talks. Mittu Chandilya and Tony Fernandes both neither mentioned of Arun Bhatia nor his Telstra Tradeplace. It was only Ramadorai who, after everyone else had spoken, mentioned, “Mr Arun Bhatia, who is one of the promoters, wanted to be here but he expresses his regrets”. In fact, Tony didn’t even drop a hint about the other share holder. 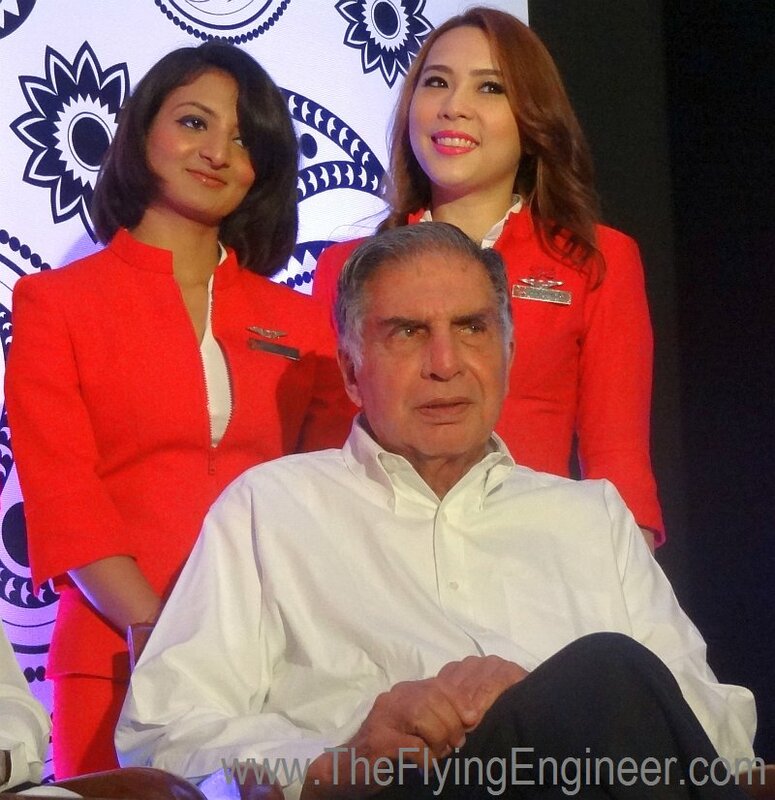 Said Tony, “When someone mentioned to me that we could potentially have AirAsia India, and that we have to find a partner, there was only one man in my mind, and one company in my mind, at that point, which was Ratan Tata, and the Tata Group”. Tony had learnt from his mistakes at Japan. He gave too much control to the other party, which in that case was a bloated, inefficient, and full service airline. Since then, and even in the case of AirAsia Japan version II, Tony has paired up with two other stake holders, so that the 51% that isn’t AirAsia’s is split in a way that doesn’t give each of the other parties substantial control over the airline. After AirAsia India, he is clear: the airline must be run his way. Which is why Ratan Tata is only an advisor. For absolute affirmation to an element of doubt: From ‘Will’ to ‘Will hopefully’. For the first time, Tony was heard saying, with respect to AirAsia and Tata, that “Hopefully together, we will transform Indian Aviation”. Tony’s speech was interspersed with too many hopefuls. When The Flying Engineer asked Tony about his unusual usage of the word, Tony responded, “I’ve reached a point where there’s no point in making bravado statements”. He cited an example on how he’s transformed aviation. When someone told him about Tiruchi (short for Tiruchirappalli), a Tier II city in South India, he sent out someone from the team to explore the possibility of connecting to Malaysia. Today AirAsia operates two flights out of Tiruchi to Kuala Lumpur, and apparently became the first airline to offer direct international flights to the city, thereby transforming Indian aviation. 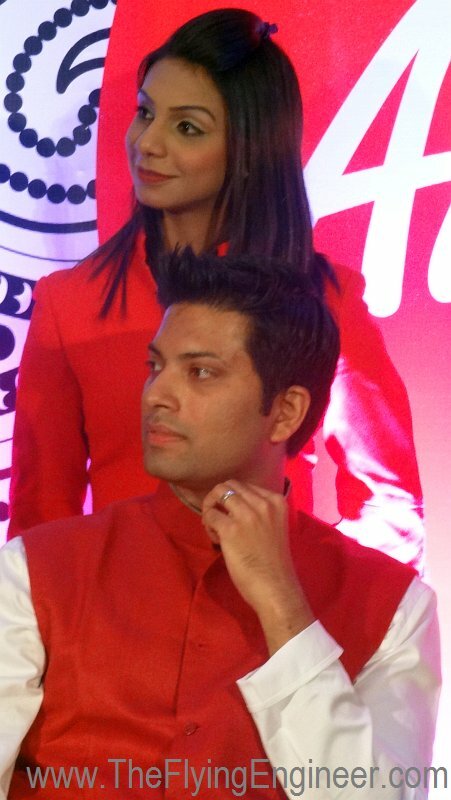 Mittu Chandilya had addressed a journalist on how the airline will break even, in which he mentioned discipline as an important basic, “…to a point that we calculate how much paper we’re using in the printers, how many cups of coffee that we drink and how many paper cups we’re wasting out there. It’s not the paisas that we save up, but it’s a discipline. It’s a discipline that we all believe in”. Which is absolutely right, but Tony made a public comeback at that statement, wondering how and where the money for the previous evening’s party, and the day’s press conference came from, asking Mittu, in a jovial manner, how many prints he will have to save to make up for the cost of hosting events at one of Bangalore’s premier hotels. Tony was right: a cost is a cost, no matter the occasion. But the disagreement runs far more serious and deeper than that. While Mittu was confident of breaking even in four months, Benyamin Ismail, who is the head of investor relations at AirAsia, reportedly told Anirban Chowdhury of Economic Times that AirAsia India has no chance of breaking even before a period of eight months. While Mittu had told The Flying Engineer, less than a month ago that the target for the airline is 6 aircraft by the end of CY2014, and 14 aircraft by end of FY2014-15, Benyamin Ismail reportedly painted a different picture to Economic Times, as a target fleet size of three or four by the end of year if the 5/20 rule doesn’t change. But Tony had mentioned that there is a need “…to accelerate the planes coming in here”. This is a clear indication of an internal disagreement within the group as a whole. AirAsia India is paints the image of an airline with a disunited voice. The Flying Engineer asked Tony if efforts were taken to ensure that AirAsia India does not go the AirAsia Japan way. Of course, the airline has learnt from partnering with an airline and just one other party: it now adopts the three way system atleast. The TATAs and Telstra have no operational control over the airline. This allows Tony to enforce the AirAsia model without interference. “I believe we have the right management team, we have the right partners, we have been flying to India for a while. Tiruchi is a fantastic example of what AirAsia is capable of”, says Tony. But with the airline having modified and changed certain promises and targets, does it show an insufficient homework? “It’s not that we are coming in naive into India”. Has the 14 months changed anything? “Our vision is much bigger now”, encouraged by the high load factors the airline is witnessing. What’s really encouraging is that even if AirAsia misjudged the Indian scene, it is allowing itself to quickly adapt to the environment, rather than sticking to a business plan not cut-out to the subcontinent. As Tony mentioned, “I’ve reached a point where there’s no point in making bravado statements. I’d rather deliver than talk”. Dealing with India has had the effect of bringing Tony’s feet back on the ground. The country is yet to open up as much as Indonesia, Malaysia, or Thailand. Adds Tony, “But we’re tough nuts. We’ve been there before, and we’ve come from two planes to hundreds of airplanes”. To collaborators and competitors: It’s not a single sided effort, and it’s not a limited market. “We started this airline with [flying] 2,00,000 people in Malaysia. Today, we’re carrying 51 million people. And everyone in Malaysia flies. Everyone in Thailand, and everyone in Indonesia flies. We hope that in India the state government will allow us, to allow the one billion people in India, to be able to fly. We can’t do it ourselves, but with a little bit of help, I think we can, and with a vibrant aviation industry, we create jobs, and we create a much more economic power”. But to really tap the masses, the costs must come down. “Obviously we want to reduce the cost as much as possible, and transfer that to lower price of tickets, and we hope that the government of India and the state government, will look at ATF, will look at developing low cost infrastructure,…and going forward- not tax this industry. I think for many people, the airline Industry is for the rich”. Tony is determined to change that perception, because it is untrue. Tony needs airports to understand and support the AirAsia model. “[We need to make] airports understand that today if there are one million passengers, you reduce their [airport]charges, and you get ten million passengers, and you still make more money”. Tony is very optimistic about the new government and the 100 day aviation policy which has a focus on developing low cost airports, which syncs very well with his clear vision. “Allow the common man to fly. Don’t allow them to be charged for things that they did not want and then end up having to take a bus for 42 hours, or a train for that long, or more importantly, not travel at all”. Mittu talked of enforcing the low cost discipline in the everyday lives of each of its staff. 1. Be disciplined about costs. (lower internal costs to attract volumes through low airfare). 2. Work with airports to reduce charges. (lower external costs to attract volumes through low airfare). 3. Go places that no one has. (expand the market to generate volumes). 4. Increase frequency. (capture a large share of the volumes). 5. Expand quickly (to distribute costs over volumes). Tony gave examples of flying to destinations that other airlines thought were unviable, like Tiruchi, which is today served by other competing international carriers as well. It seems like he’d like AirAsia India to be the first in under-served markets which have high potential. In short, keeping off mature markets and focusing on a point to point network which opens up certain “virgin” routes is the way forward. Tony is thrilled with the officials of certain airports, who understand the point he puts across to them. “The airport is already built, the infrastructure is already in place. Why not allow the airline to use it more, at a lesser cost per passenger?” Initially it may result in the same revenue, and eventually it will result in a greater revenue for the airport through volumes, as air travel becomes more affordable. One such airport is evidently Bangalore’s Kempegowda International Airport, which has applied to the Airport Economic Regulatory Authority (AERA) to offer discounts and sops to carriers that meet certain criteria. What’s interesting is that clauses have been put in the airport’s application that make it specific to certain carriers only, rather than opening it up for all carriers. AirAsia is smart, and is possibly working in a manner that may benefit only itself. Tony believes that “AirAsia is about democracy. We’re about making travel affordable, and taking all the elements, in an airfare, that is in my opinion are unfair”. He strongly believes that unbundling of airfares is the only way to lower airfares, because the passenger who isn’t carrying a check in bag is actually paying for a passenger who is using the service, as the 15kg free check isn’t really free, but factored in the airfare. Further, he believes that 90% of the time, people do not need the on-board food. Rather than stuffing it down the throat of a passenger who doesn’t need it, the airfares could rather be lower, and only those who need the bags or the meal may pay for it. While Tony does mention that AirAsia is a democracy, a true ‘democracy’ would not have barred fliers from consuming their own food on board. However, there could be reasons, such as undesirable odour in the cabin, certain foods and meals that are highly spill-able, or simply a business decision to promote ancillary revenues on board. Everyone is familiar with Tony making a smart cargo loader a pilot. But Tony doesn’t have to go that far in India, where close to 50% of the 13,000 odd pilots are unemployed. In his very airline, and part of the first flight as cabin crew in charge is Monica Mohani (behind Mittu in the photo to the right), who has her commercial pilot license since five years, and has served with Kingfisher, Indigo, and now AirAsia India as a cabin crew member. Tony openly said, pointing to her, “Good luck to becoming a pilot. That’s the final dream. This young lady wants to be a pilot, and we’ll make her dream come true”. According to Tony, “for the month of July, average load factors have been in excess of 90%, which shows that the model is something that the people of India have been waiting for”. The routes, the aircraft utilisation, and the rate of expansion-which adds capacity-will determine the break even period for the airline, even with those great load factors. But everything doesn’t smell right. With others in the airline talking break even periods and aircraft induction plans different from the CEO, we wonder who really is getting is right. A single voice is lacking. Even the absolute optimism and affirmation is making way for cautious statements. With the competition preferring to prevent AirAsia from making profits, rather than joining hands to take measures to drive down costs in the industry, nobody is getting anywhere. With AirAsia possibly pushing for airport policies that benefit only itself, the competition is getting miffed, and again, nobody is getting anywhere. Tony has a success mantra, which needs to be sufficiently altered to fit the Indian market. AirAsia Japan was a failure, possibly because the airline did not pay sufficient attention to the partner and the local environment. For AirAsia India, the partners are better, if not right, but somehow the rate at which things are dynamically changing in the airline point to a level of flexibility that is expected of an efficient airline, while also pointing to a tailor that possibly got his measurements wrong.